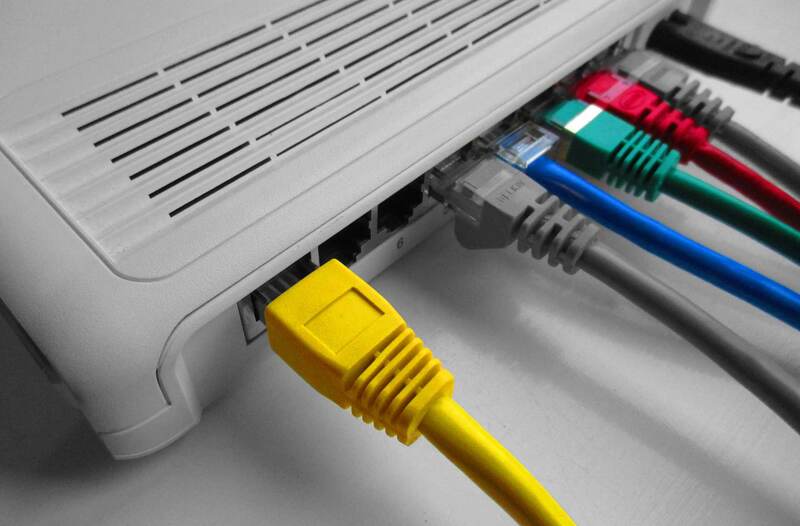 For a business to use technology, whether that’s phone lines/handsets, computers, laptops or other forms of technology, there is a need for cabling, switches, routers and other forms of equipment to ensure technology is networked, connected and linked to the outside world. Cat 5 is a twisted pair cable often used for carrying telephony signals we well as in cabling for computer networks. Cat 5e is an ‘enhanced’ replacement for Cat5, manufactured to be able to support 1000Mbps gigabit speeds. Cat 6 is a twisted pair cable for Ethernet and other networks, capable of handling 1 Gbps throughput. It is backward compatible with Cat 5/5e AND Cat 3 cable standards. Cat 6 is not only faster than Cat 5, but there’s also less chance of crosstalk/interference. These cables use glass or plastic fibres (threads) to transmit data. Each cable is made up of a number of fibres/threads, which are capable of transmitting messages using optical (light-based) technology. Each fibre can carry tens of thousands of telephone calls, with each cable capable of carrying several million calls. We also design network and cabling solutions which link other systems within a workplace including fire and security systems, enabling businesses to manage a range of services through one bespoke design and installation process. A router is a hardware devise which can receive, analyse and move ‘incoming’ data to another network. There are a range of types of router including: a router, a wireless router, an Edge router, virtual router through to a wireless router. 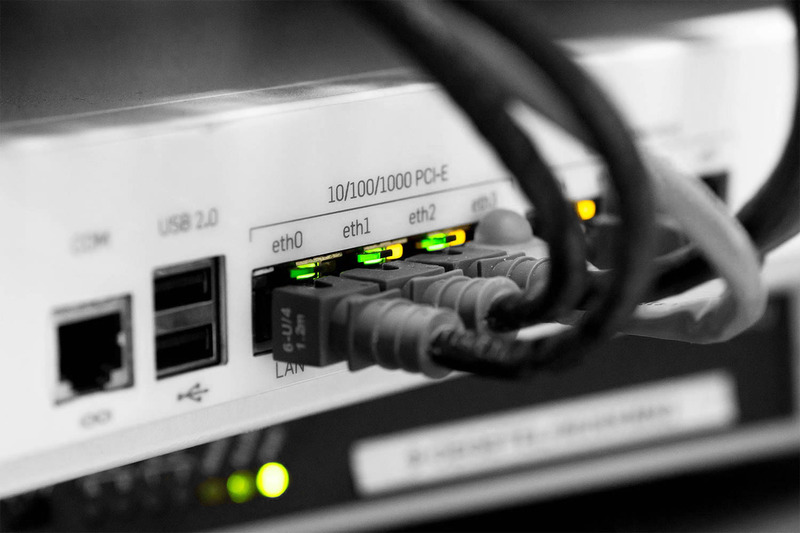 With a range of routers to choose from, we look at the business issues/needs and recommend a router which can help to meet an individual business’s needs. A switch is another networking devise which helps to connect devises together on a computer network. There are a wide range of switches (and indeed network equipment) available on the market, so we draw on our in-house engineering expertise to identify the right equipment in the design of each network solution. These combine power and data through an Ethernet cable, meaning that there does not need to be a power source at the network devise. POW switches are suitable for VoIP, intercom systems, wireless access points etc where no power is available nearby. There are a range of POE switches available (e.g. 2 port, 8 port, 16 port, 24 port, 48 port). We work with businesses to identify which POE switch will best meet their requirements. Wireless networks require certain equipment to be deployed such as a wireless router (which acts as a central hub for computers etc to link to), in order to gain network access. We provide a range of wireless technologies and associated equipment to help support businesses.